The proposal for a dissertation is an attempt to define the relationships between the political strategy, spatial order and social ties in the persistent collective urban model in Beijing, which I named the ‘Chinese unit’. The premise of this study is that these three aspects persistently influenced and redefined the principles of the Chinese unit. Through the study of the relationships between them in different contexts and periods, not only the historical Chinese units can be analysed, but we can also understand the current urban model. At the same time, it reveals the conflict between the Chinese unit and today’s society. I particularly want to investigate three questions: Firstly, how did the spatial order and social ties make the Chinese unit a common framework within which the collective life occurred? Secondly, how did the political strategies of the Chinese government have impacted on the everyday lives of the urban population through the ways in which they create and structure particular forms of spatial order in each example of the Chinese unit? Thirdly, how did social relationships, political and economic strategies confront and interact within the Chinese unit, which can be read as either a fragment of the urban norm, or an independent exception. 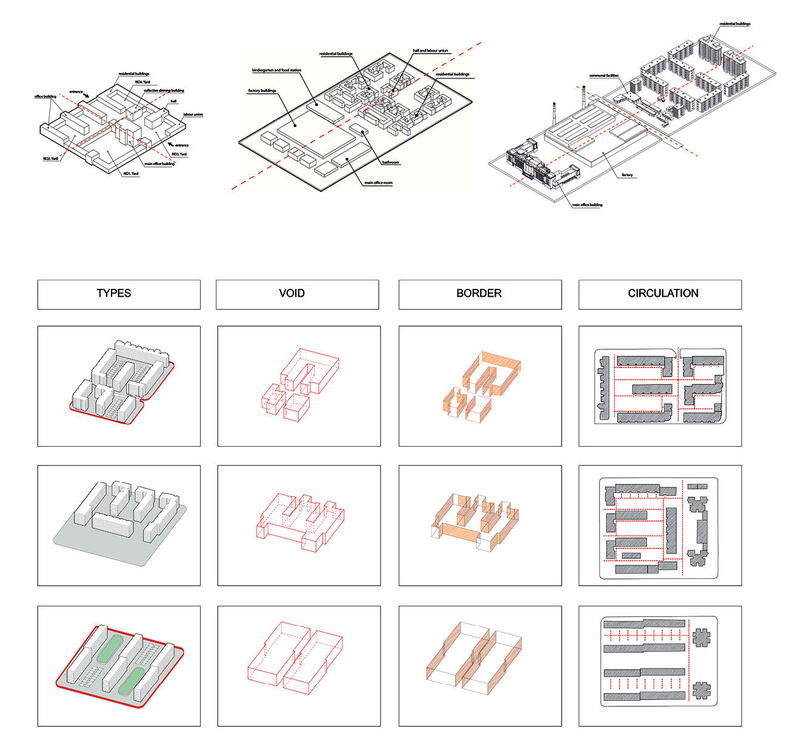 By basing the analysis on these three questions, the Chinese unit can be understood as a flexible urban element that proposed and transformed the cellular urban structure. In other words, through the Chinese unit, the city of Beijing can be understood, designed and reconstructed. Following this study, I will focus on the urban problems of contemporary Beijing. 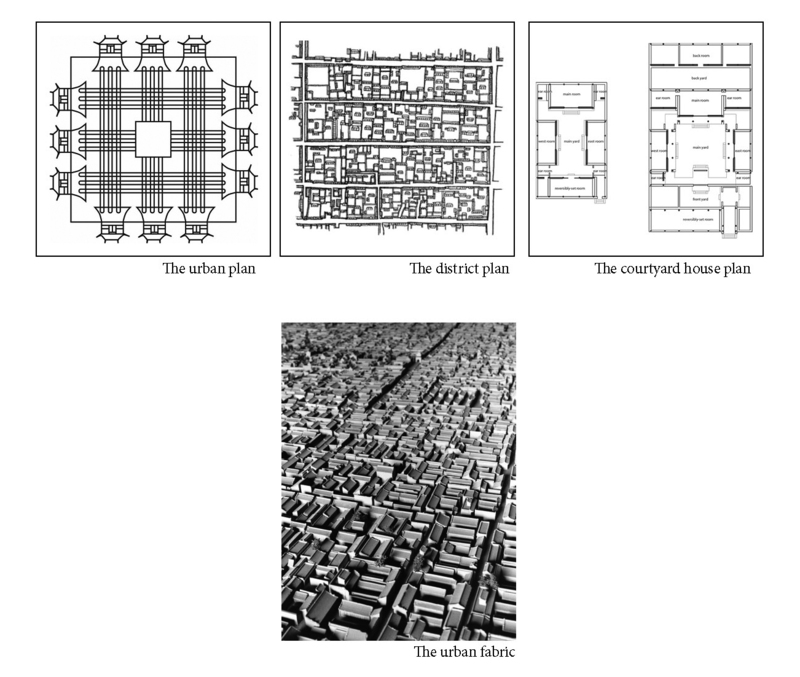 The current urban master plan and the urban block are both products of a market economy. The communication and participation of the population, which were supposed to be the fundamental principles of city, were abandoned and discontinued. The population distribution according to people’s wealth rather than social ties has led to a series of urban problems, such as traffic congestion and the absence of social interaction within the residential blocks. I would argue this situation can be interpreted as a consequence of changing political strategies and social relationship. The tracing of the historical Chinese unit aims to understand and reconstruct the city as the production of social relationship. 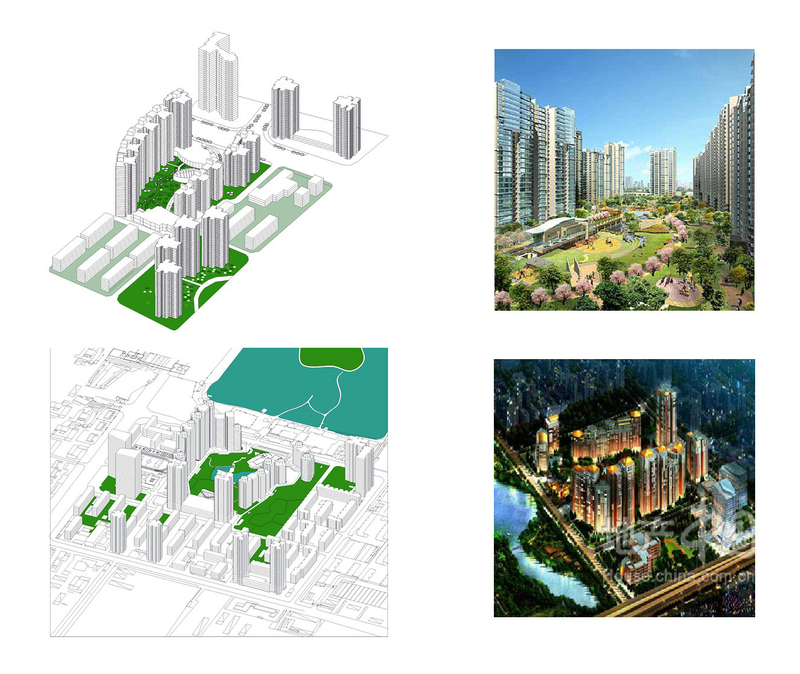 I want to challenge the existing urban master plan and the typical urban block, which characterise today’s urban developmental model, through a new concept of the Chinese unit. This means first to define the limitation of the historical Chinese unit to the contemporary context. To define the Chinese unit requires a comparison of the historical Chinese units in order to find out their similarities, differences and determining factors. Before the economic reform in 1980s, the urban idea of Beijing was embodied in two historical Chinese units, rather than master plans. One is the courtyard house and the other the Danwei (work unit). The courtyard house was in the feudal era the basic residential unit based on kinship, while the Danwei was the ‘work unit’ which included important working and living part, and was directly instituted and controlled by the central government during the early socialistic era. These two types were the most typical and elemental units of Beijing during their periods. They had some superficial similarities: their realm was clearly defined by buildings and walls, and the walls and buildings in the both cases were utilized to demarcate social spaces. The void provided in both instances a common ground in which the collective life occurred, and people needed permission to enter the void before they were allowed to access the buildings. A symbolic axis and hierarchical spatial layout was adopted by both as well. The difference between them is however evident: in the courtyard house, people lived in different rooms with their location indicated their social status within the family. The Danwei, in contrast, promoted a principle social equality, with each family seen as the same. The void in the courtyard house was a place where people’s behaviours could be surveyed by the master, while in the Danwei the void was the place where people would ascertain their social ties. The growth of the courtyard house can be considered an extension of the social hierarchy, while the expansion of the Danwei merely meant a larger scale and more inhabitants. The symbolism of the Danwei also substantially differed from that of the traditional courtyard house, which was arranged by a central axis and had a clear progression of elements with lesser to greater importance. The Danwei reversed this order by placing the principal architectural elements at the forefront of the axis, opposite the entrance to the compound. But what led to all these similarities and differences? The courtyard house was encoded to represent and reproduce the clearly defined social relationships that underpinned a Confucian moral order. In the feudal age of China, the Confucian philosophy which promoted social hierarchy was appreciated by authorities. Each individual was supposed to behave according to the rite of propriety and remain in their own rightful position defined by a social hierarchy. 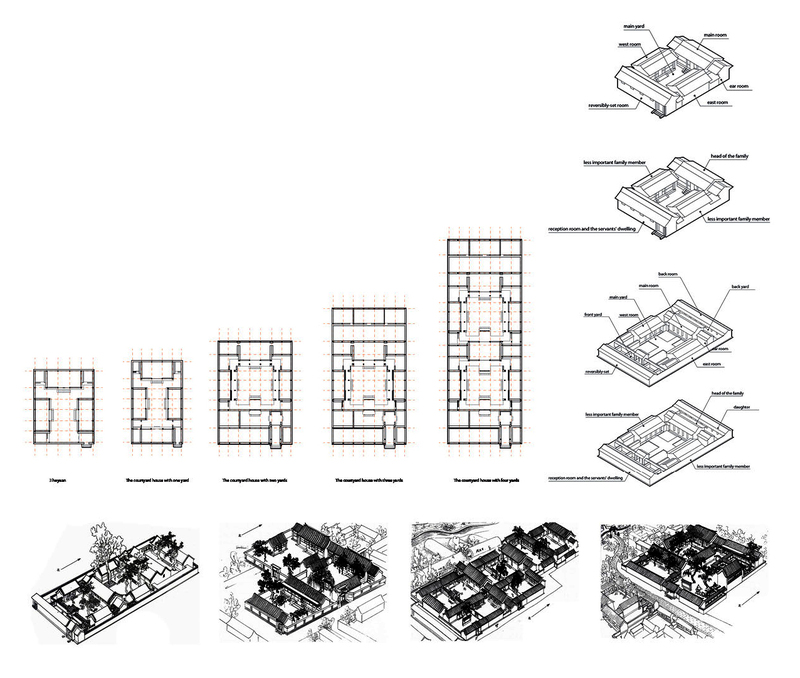 The courtyard house translated the social hierarchy into a spatial formation. In the typical courtyard house, the main room was that of the masters and occupied the north of the courtyard facing onto and dominating the internal courtyard and other rooms. Less important family members lived in the rear rooms. The distribution of spaces placed each member visible within the hierarchical order of the social group, and the individual’s behaviour was policed through the transparency of the open courtyard formation. The size and quantity of courtyards would vary according to the wealth of the family; nevertheless the basic principles of spatial arrangement and distribution remained the same. In a multi-yard courtyard house, each courtyard opened to the next one. One could not enter other yards freely without a senior’s permission, and members took different circulation routes according to their status. The traditional Chinese unit was therefore designed to reproduce the differentiated social relationships demanded by the authorities. The Danwei, however, was designed to represent the centrality of collective labour and egalitarian social relationships that exemplified the socialist ideal. In the planned economic era, each individual labourer in the Danwei was supposed to contribute to the public interests and the socialistic ideal rather than pursue personal profits. The key architectural elements were located along a central axis, with subsidiary elements arranged in groups on either side of it. The purpose of the axial arrangement was to symbolize the order of the socialist state. The communal facilities, like public club and canteen, were located in the centre, and people had to regularly appear in these spaces to confirm their socialistic beliefs. Thus, the courtyard was a production of Confucian moral order, and the Danwei was a production of socialist ideology. In a word, the historical Chinese units were productions of a political norm. But this is an inadequate definition. The arrangements of space and programs in the both cases were not merely for political purposes, they also promoted social cohesion by providing communal facilities and common spaces. Social ties between family members, partners and neighbours established a collective lifestyle within these enclosed units. People living in the same Chinese unit would always have something in common, and this commonality consolidated social ties and formed circles of similar minded individuals. For instance, there were many shared rooms like guest hall, reading room, tea room, private classroom, eating room, toilets, etc in courtyard houses. Despite their different social rank, they all were allowed to use these rooms and facilities. In the Danwei, the social lives and relations had different scales. Every three to five families shared toilets and kitchen in a housing unit. At the next level, each two to three buildings shared facilities like laundries, bicycle sheds and gardens. At the Danwei level, all residents shared facilities like hospital, bathhouse, and sports ground and so on. Thus, the Chinese unit is a common framework within which different ideas and opinions could be discussed and negotiated. This reduced privatization and encouraged collective living. As each individual effort was for the common good, an urban idea that was not profit-driven emerged. In summary, the determining factors that caused significant similarities and differences between two historical Chinese units are: political strategies and social ties and circles. The historical Chinese unit can be thus defined as: Firstly, a cellular urban idea embodying a political will. Secondly, an urban common framework within which a collective life occurred. In addition, the Chinese unit was socially and spatially defined as an enclosed autonomy. The separation between the inside and outside and the independence of the parts of the system enabled the Chinese to deviate from the norm of the city and form a political and economic exception. This is of critical importance, because this allows us to understand the Chinese unit as an ‘intelligent urban model’ that could either actively agree or disagree with the urban norm. Differing from other homogenous urban models, the Chinese unit has the potential to criticise, challenge and generate new urban rules. The spatial orders of historical Chinese units were real productions of political ideals and social relationships. The Chinese unit could transcend being a pure container of people’s life and work. Yet today, the demand of work and life has completely changed. Before 1978 the city’s master plan aimed to control people’s daily life within the Danwei. However since 1980s, the master plan of Beijing encouraged or forced people to move out of the closed society of the Danwei. After 2000, the master plan had the ambition to transform Beijing into a global city. Thus, the infrastructure system became increasingly important. As a consequence, today the city of Beijing is greatly defined by transportation (like motor cars, underground, over-ground and wide roads). To understand the changes in urban planning, it is imperative to study the driving forces of urban development. Tang (1997) in a study of urbanization in China suggests that ‘governmentality’ was the key issue to the formulation of urban policies before economic reforms. The running of the society was based on administrative commands rather than ‘contracts’ between citizens. However, with economic reforms, the conventional economic planning measures on which urban planning relied were gradually abandoned. Thus the master plan was no longer directly connected with politics. The new market economy required an effective control over landed speculation. This led to the 1989 City Planning Act, which set up a comprehensive urban planning system. The Act authorized the local government to prepare a set of tiered plans to control development. In the Act, the infrastructural system was referred to as a new planning element that attempted to manipulate regional spatial development, such as city size, environment quality, and urban settlements. However, the infrastructural system was incapable of dealing with the rapid growth of population and vast urban expansion. Since the city no longer relied on the urban block as a cellular urban unit, the block was reduced to a container of programs. Moreover, the economic reform from planned economy to the market economy brought profound changes to the production and consumption of housing. 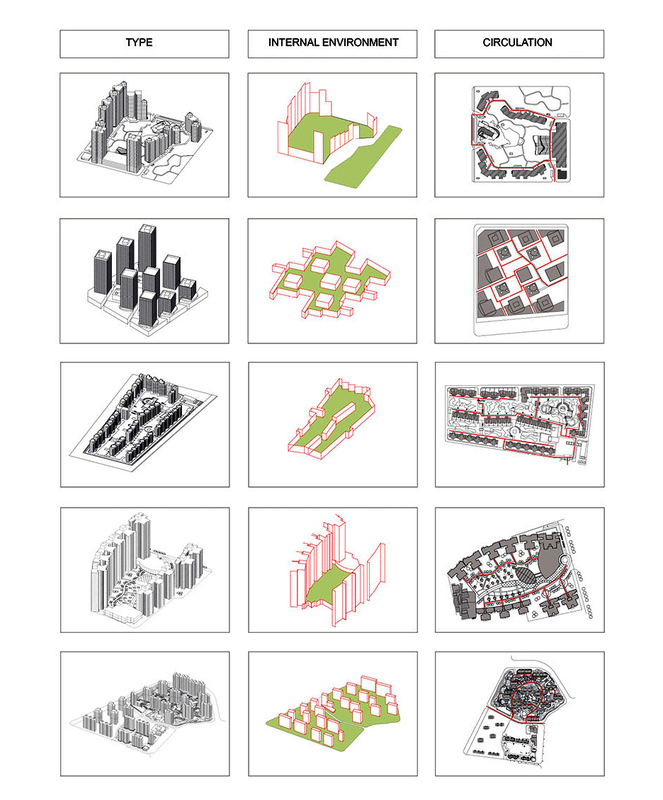 In the planned economy, urban planning was perceived as a tool to realize the socialist ideology of planned development and translated the goal of economic planning into urban space. In the market economy, private property rights were protected and could not be appropriated for public use without compensation. Contrasting with a socialist residential model characterized by uniform public housing and homogeneous neighbourhoods with public and community services, such as street cleaning, gardening, and security, which were previously provided by the government or work units, are now provided by private developers or Property Management Companies for a fee. The commoditization of housing has led to a new type of residence: pure commodity housing estates. Thus, both housing and community services previously provided by a welfare state have been taken over by an emerging economic sector. The government cannot and does not any longer want to control people’s daily life. Massive private housing developments, especially in the suburbs, were the result of this privatization. Their urban district plan is covered by the City Planning Act that controls and defines land use, boundaries and development intensity and coordinates various infrastructural and public amenities and facilities. 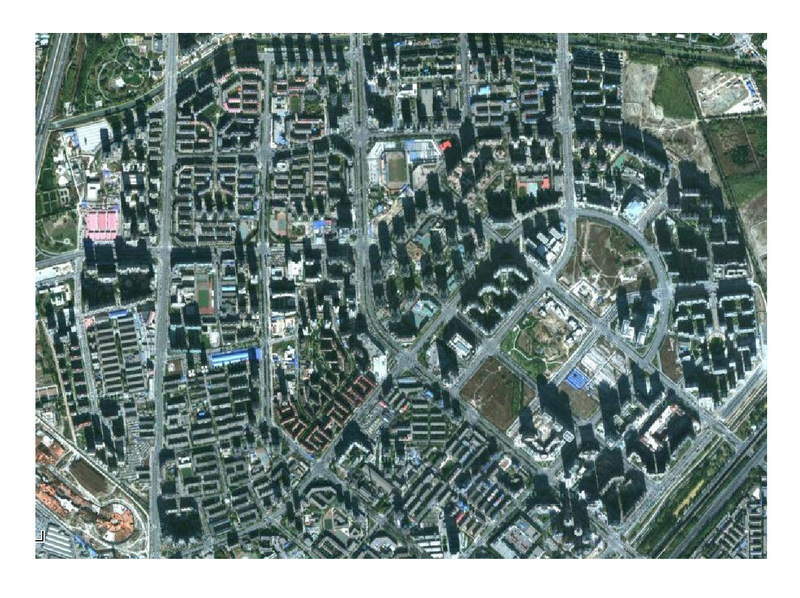 In all urban areas, detailed land-use policies are set out and define the boundaries of each construction project within its plot through control indexes such as building density and building height, general layout plan, utility engineering plan and three dimensional site plans (Building in China 1990: Article 20, Section 2). One can easily see that based on profit in neither scales the construction of residences considered social ties and communication. Privatization became the new driving force of Beijing. The new planning policies produced gated community of a super scale, or the ‘mega-block’. In a gated mega-block, the residents treat their residence as a private place of living. Most modern citizen’s spheres of activities are now outside of the community. Especially today, more and more communications rely on the internet or telephone, making social interactions inside the mega-block unnecessary. 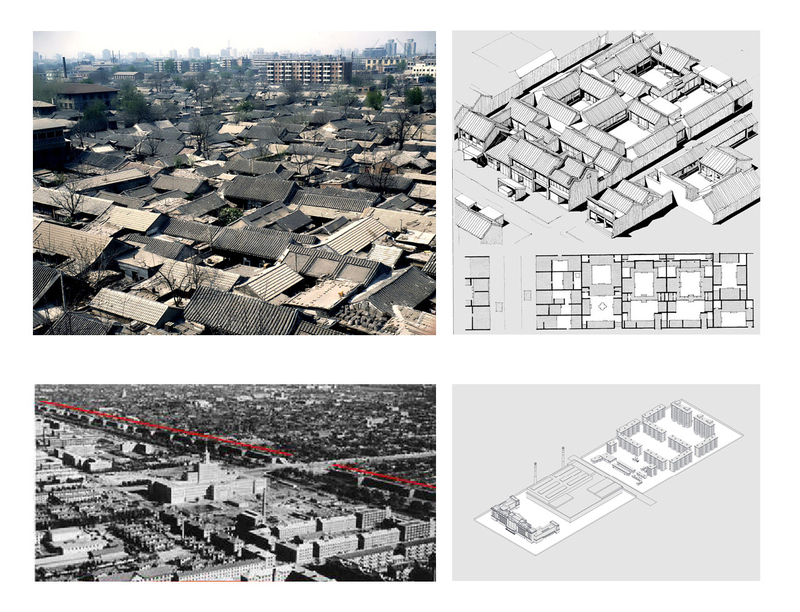 Since the mainly infrastructural master plan with its dominant type of the mega-block as a predominant urban model creates a sprawling and characterless city, the Chinese unit shuold be reconsidered as an alternative possibility to rethink the urban cellular principles. So far I have defined the Chinese unit as a cellular urban idea which embodies a political strategy, as well as a common urban framework within which the collective life occurred. I also argued that the spatial orders of the Chinese units were the productions of politics and social relationships. However, in contemporary Beijing, due to changing political-economic strategies and a radically altered relationship between residents, the idea of Chinese unit could not exist anymore. The challenge is therefore: firstly, since the state is no longer a power that regulates and unifies the people’s life, opinions, and behaviours, how do we need to reconceptualise social ties and their effects? Secondly, Beijing as a global city could not accept an independent autonomy established by the courtyard house and Danwei, and the new urban lifestyle now occurs beyond the boundaries and social ties and circles of kinship or neighbourhood. Thirdly, the density of the historical Chinese unit is much lower than that required by the contemporary city and its fast growing population. However, as already argued, the Chinese unit as an exception has the ability to overcome an urban norm and adapt to people’s life. The Zhejiang village in southern Beijing provides a potential model to investigate that might point towards the structure of a new Chinese unit. Since the late 1980s, a large number of migrants from the Zhejiang province started their wholesale businesses in Beijing. The migrants were very successful in their businesses, and comprised an area of 26 villages in the district of Fengtai. Fundamental to understanding the development of the Zhejiang village is the country’s registration system. It stipulates that every household has to be registered as either urban or rural, and that every individual has to have a permanent place of residence. Migrants in Beijing are however informal citizens, which means they have entered the city but not society. That is why they choose to establish a new settlement and their own society based on their social relationships back home. Networks based on kinship or regional ties were of central importance in the village. They provided a minimum level of social cohesion, security and safety, and served as the means to exchange information as well as gain employment and housing. The key question for the migrants in their business dealings and everyday life was how to manage the relationships between their business contacts and their circles of family and friends, as they saw the emotional investment in relationship as part of their business success. Kinship helped to pool resources together, form business partnerships and provide mutual aid among relatives, which ensured competitiveness in an intense market. To secure the safety and stability of their life and business, several gangs emerged that provided migrant families with local protection. If a family had strong relations with a powerful patron, its business was relatively safe from robbery and extortion. These two ties were therefore interlinked through a household or individual, and the overlapping of ties defined the commonality of the migrants. Through this system, a collective life emerged again in Beijing. The Zhejiang village is both a social and an economic model. To enlarge their business, they had to grow their social ties, and the increasing circles of ties made the group more powerful and guaranteed business growth. Thus, in the Zhejiang village, the working, living and even spatial orders returned to the production of social relationship. There were two basic spatial models with a critical impact on people’s daily life in the village. 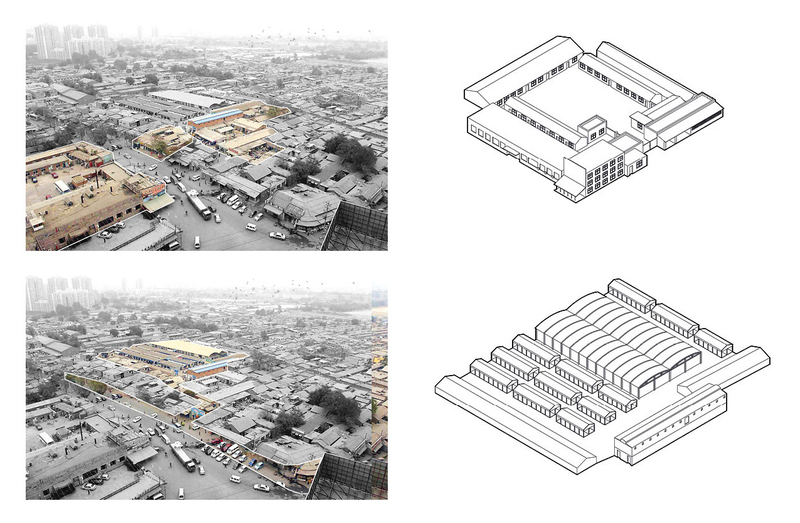 One was the residential ‘big compound’, the other the ‘market’. In the big compound, people lived a collective life, but not according to social or political order. Their purpose was to reduce living cost. Each big compound housed a large group of people who shared kitchen, toilets and bathrooms. On the other hand the market was the space within which the village exchanged goods with the city. As migrants can only rent rooms, the space in the village is less a commodity than a kind of shared resource. By controlling the ownership of these spaces, the ‘bosses’ could control people’s daily life. Thus, the space here was a production of local politics, or a tool to consolidate power. The expansion of the village was accompanied by an increasing demand for services such as restaurants, health clinics, hairdressers, day-care facilities, schools and so on. These infrastructures and the market became the common ground were migrants and local citizens would meet. If the village and the city could be separated into two territories, they were the grey spaces between them. The village was an exceptional autonomy and depended on an economic network of the city. While the historical Chinese units can be considered concrete models of political statements, the Zhejiang village has a very subtle relationship with the local government. When conflicts arose, a key role, a mediator or “big man” from the village would settle the disputes. These mediators balanced the sides, and ensured that the village could exist as an exception within the city and, equally important, as a profitable enterprise. As is apparent, the possibility to plan and articulate urban spaces based on social ties has been persistent throughout Beijing’s history. As a contemporary example, the Zhejiang village provides two ways to negotiate with urban norm: one through the mediator and another through common facilities. The construction and growth of Beijing needs to meet new demands of living, working and communicating, and must address the contradiction between a rapid growth of population and the dwindling of urban properties. Seen in this light, admittedly, the mega-block is a better model than the Chinese unit. While the Chinese unit can be defined as a political and economic exception, the mega-block is the production of an urban norm. The residential high-rise in the mega-block has become the most prolific type in Chinese cities. Its floor plan and master plan have deeply influenced people’s life over the last ten years. The deep structure of the mega-block indicates a contemporary urban life of privatisation and commuting that people have become accustomed to. Thus, a new prototype of the Chinese unit should consider both the urban village and the mega-block. It should have some general characteristics: Its spatial and programmatic plan ought to reflect on social ties and establish a new commonality. The new Chinese unit should be an exception to the urban norm but also have relations to it through common infrastructures. Finally, a new Chinese unit has to meet the demands of a fast changing society with new social relations. David Bray, Social Space and Governance in Urban China, p. 125. Fulong Wu, Urban Development in Post-reform China, p. 163. Fulong Wu, Urban Development in Post-reform China, p. 170. Bettina Gransow, Migration Society and Social Change in Chinese Megacity, p. 5.